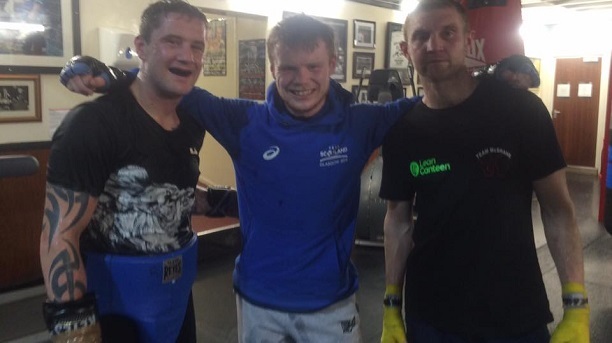 While most Irish boxing eyes are focused firmly on the National Stadium in Dublin and the conclusion of the Elite Senior Championships on Saturday night, there are a handful of pro punchers from these shores in action overseas. Wexford heavyweight Niall Kennedy fights in Boston while fellow big man Sean Turner takes on top prospect Filip Hrgovic in a short notice clash in Germany. Meanwhile, in Scotland, Donegal light welter Shaun McShane [6(0)-4(0)] has a big fight of his own. The Rosses fighter takes on unbeaten prospect Liall Mackenzie over four rounds at the Double Tree in Aberdeen. It’s another big fight for the Glasgow-based puncher who has twice challenged for the Scottish title and comes into the bout off the back of two consecutive wins over Belfast journeymen Alec Bazza and Jamsey Gorman.